The International Conference on Conveying and Handling of Particulate Solids (CHoPS) is the 9th in a series, since it started in Tel-Aviv in 1994. The previous eight conferences gave us excellent opportunities to get acquainted with each other and to share advanced information on solids handling. The Conference theme is “Fusion of science and industry: from particle contacts to bulk behaviour”. It will focus on the emerging opportunities and challenges in solids handling technology, and the application of both these and established knowledge, in the process industries and the equipment manufacturing sector. The scope will range from pharmaceuticals to mining and minerals, including food, chemicals, power generation, waste, environment and all other sectors that process powders and bulk solids. 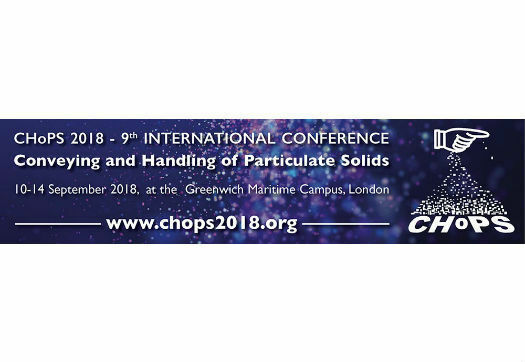 If you deal with particulates – you have to be at CHoPS, no other conference in the area is as large, as international, and as wide ranging in both industry and academic participation. This is a unique forum to promote the exchange of technical and scientific information in the academic and industrial sectors in the fields of solids flow, mechanical behaviour of bulk materials, powder testing, segregation and mixing, modelling etc. 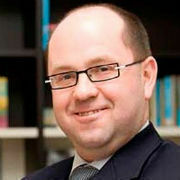 It is also designed to foster business and collaboration opportunities around the world. Registration is now open. Please visit www.chops2018.org to secure your place.